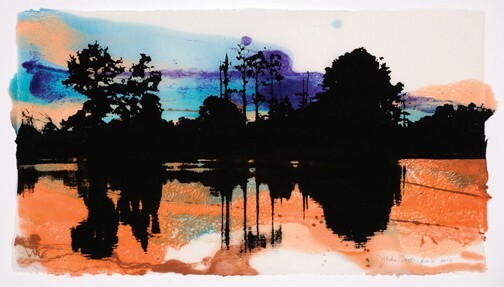 The University of Arizona Museum of Art is pleased to present Moments of Change, an exhibition of works on paper by New York artist, Jackie Battenfield. Drawn from her work of the last seventeen years, the exhibition explores the abstract qualities of landscapes as well as the technical limits of printmaking. 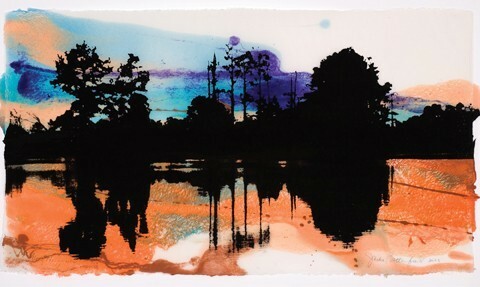 Utilizing the full range of print methods – from monoprints to woodcut to etching to screenprint to lithography and the richness of handmade papers, Battenfield’s graphic works exhibit a dance between the landscape shapes and the artist’s gesture. The exhibition will be on view from August 18th – October 16th. UAMA will welcome the artist on Friday, September 16. The artist’s talk and reception begins a 5 pm and is open to the public.